Vikram Vij, one of Canada's great chefs, shares his story of the trials and triumphs in building a world-renowned food empire. 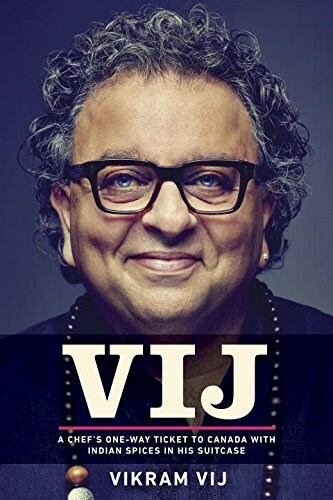 Fragrant with the smells of cumin, turmeric, fennel, and cloves, Vij reveals the story of Vikram Vij, one of Canada's most celebrated chefs and entrepreneurs. Vikram is the co-owner of the world-famous Vij's Restaurant in Vancouver. His story is a true rags-to-riches tale of a college dropout from northern India who made it to Europe's temples of high cuisine, then found fame in Canada, serving some of the world's most transcendent Indian cuisine. For the first time, Vikram opens up about his struggles with prejudice, his mentors' lasting lessons, and the painful demise of marriage to his business partner, Meeru Dhalwala--both the successes and the failures that have shaped and sharpened one of Canada's most unique and revered culinary talents.